Members of Science Heads traveled to John Day, Oregon and Idaho Falls, Idaho to observe the total solar eclipse. 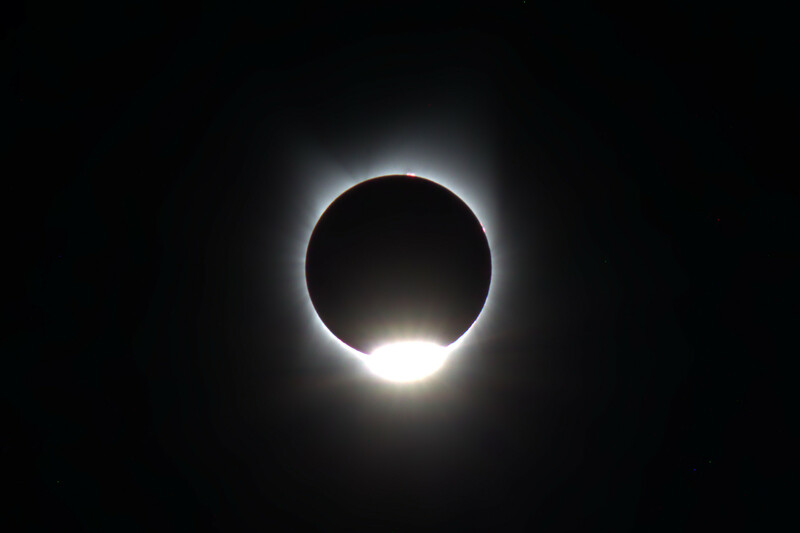 It was the first total solar eclipse that most of us had the opportunity to experience, and was definitely worth the time and travel needed to see this amazing natural phenomenon. Executive Director, Richard Stember took the Mobile Observatory on the long journey to the Museum of Idaho in Idaho Falls to broadcast the eclipse live on NASA TV. He was interviewed twice by the Fox channel out of Salt Lake City, UT. 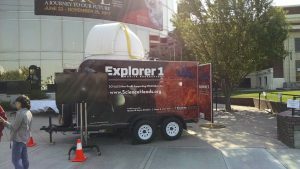 The Jet Propulsion Laboratory (JPL) produced a video featuring our mobile observatory, which was seen during the eclipse coverage on NASA TV. 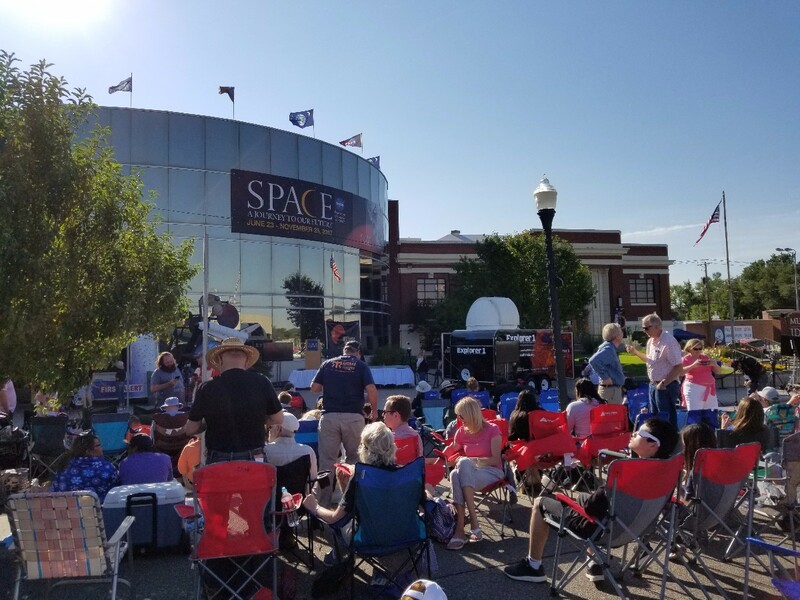 Unfortunately only half of it was played during the live eclipse coverage because of a technical problem. Meanwhile, Michal Peri organized an expedition attended by thirty people, including two other board members, James and Rebecca Hammond, to the town of John Day, Oregon. James was able to capture some images of the eclipse, which you can see at the end of the photo gallery, below. 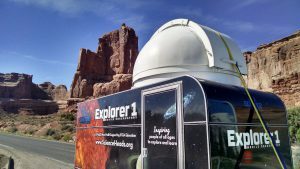 The Mobile Observatory rests briefly in Arches National Park on its journey to Idaho Falls. Science Heads’ Mobile Observatory outside the Museum of Idaho in Idaho Falls. Crowd waits for total eclipse outside the Museum of Idaho in Idaho Falls. 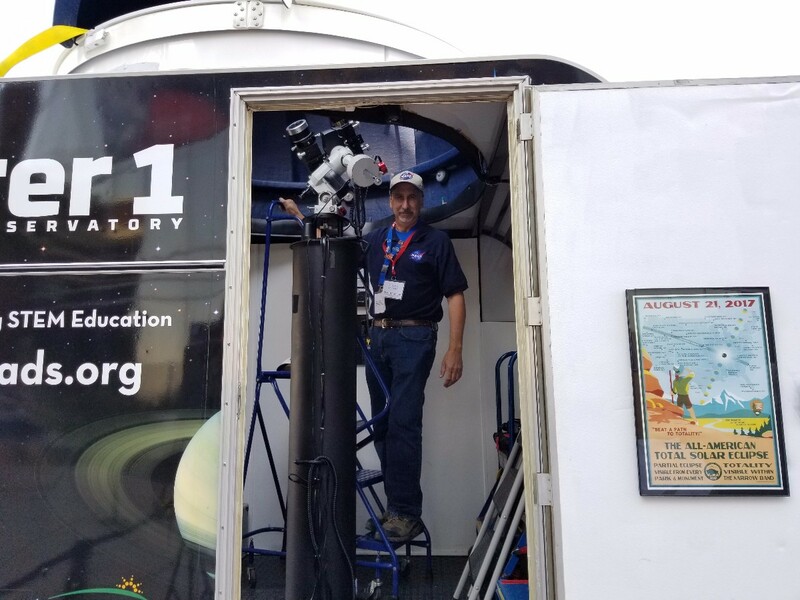 Science Heads Executive Director Richard Stember prepares the Mobile Observatory’s solar telescopes for broadcasting the eclipse. The crowd outside the Museum of Idaho in Idaho Falls watches the progress of the eclipse. 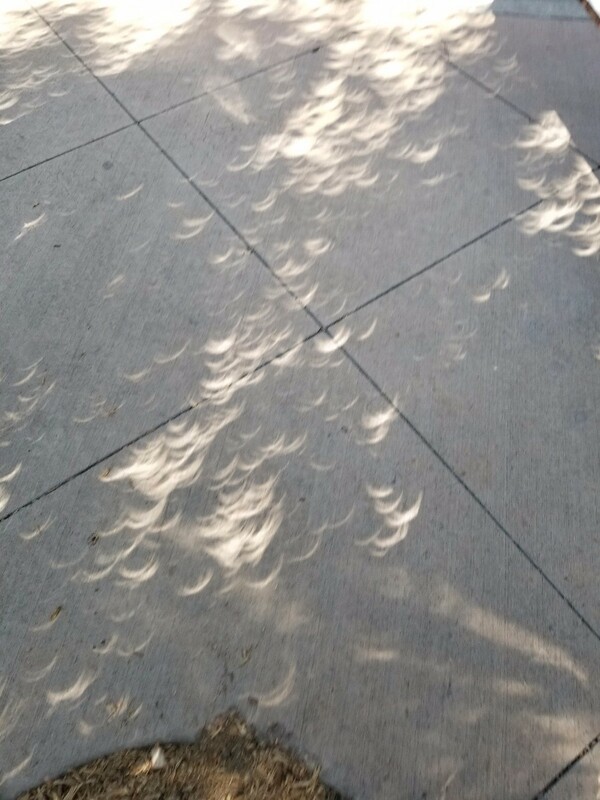 Small gaps in the tree canopy work as pinholes to show crescent images of the partly-eclipsed Sun. The sky in Idaho Falls darkens as the Moon nears complete coverage of the Sun. 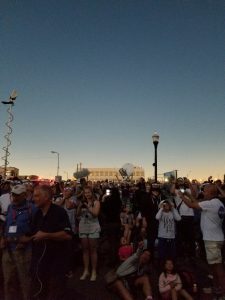 Total solar eclipse over the Mobile Observatory in Idaho Falls. Solar eclipse at totality. 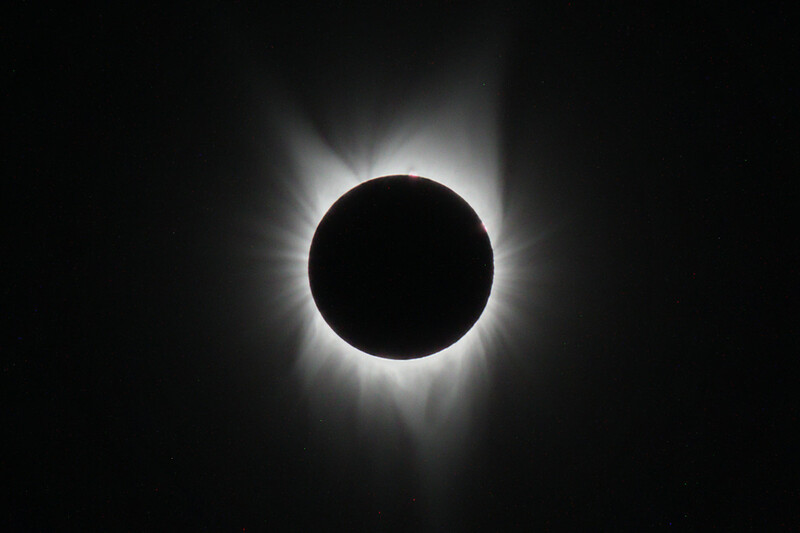 The corona becomes visible as the Moon blocks the Sun’s photosphere completely. 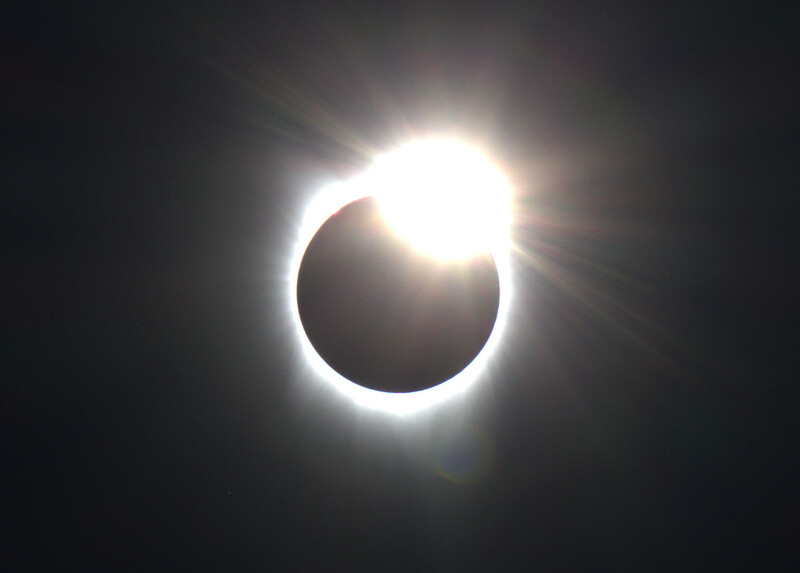 Observed at John Day, Oregon. 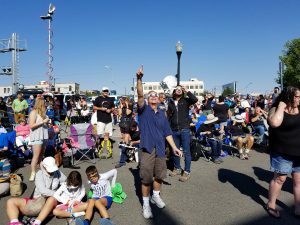 Not traveling to the path of totality? 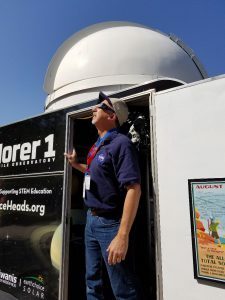 You can watch the whole event on NASA TV. 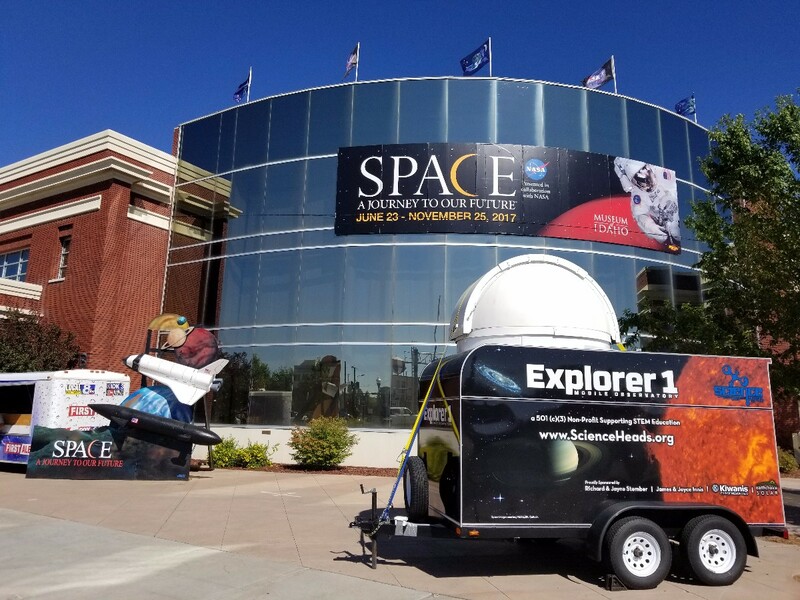 Science Heads is helping NASA broadcast the eclipse live from Idaho Falls, Idaho. 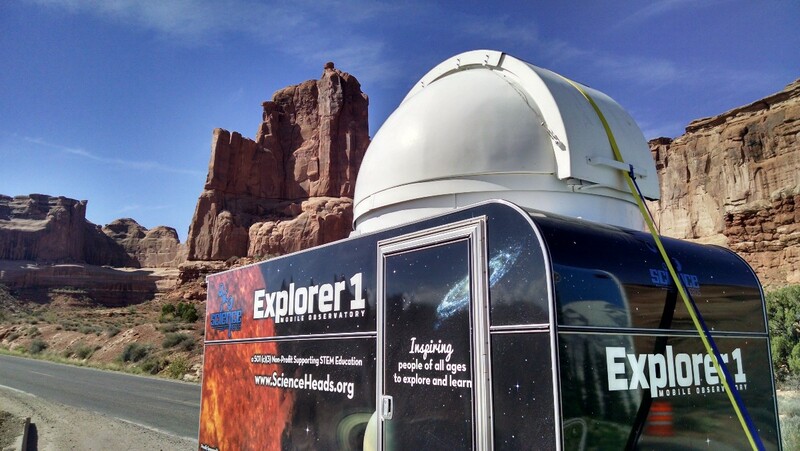 Richard Stember will be manning our Mobile Observatory on location at the Museum of Idaho. 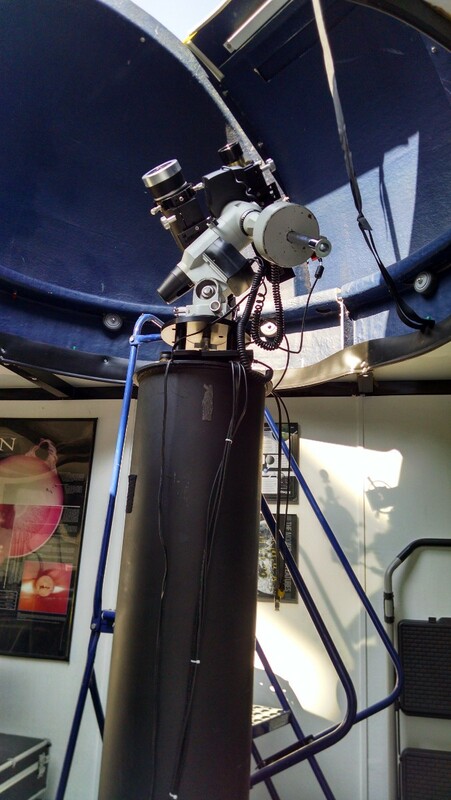 NASA TV will be streaming live video from our observatory’s telescopes. The coverage will include interviews and information about Science Heads and the eclipse. Many cable and satellite services include the NASA TV channel in their lineup. You can also watch the live stream from the official NASA eclipse website. With safe solar eclipse glasses you will be able to see a partial eclipse from Southern California. 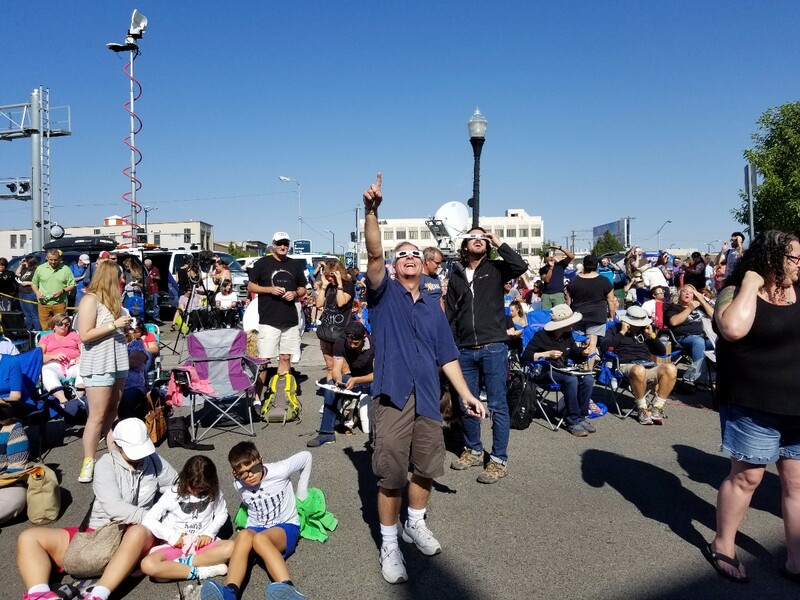 But for an idea of what a total solar eclipse is like – be sure to tune in to the live NASA TV coverage starting at 9:00 am PDT. Idaho Falls coverage starts at 10:15 am PDT. Locally the eclipse will begin at 9:05 am PDT. 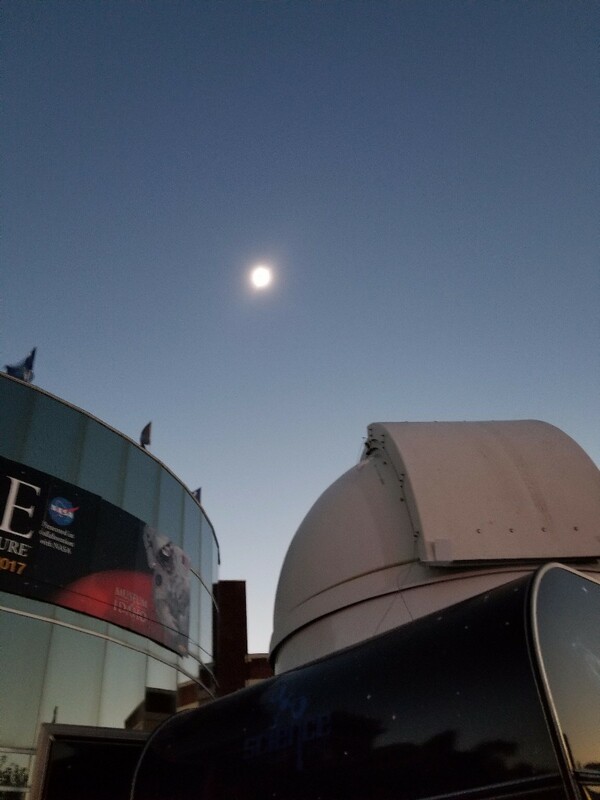 Maximum is at 10:21 am and the eclipse ends at 11:44 am PDT.